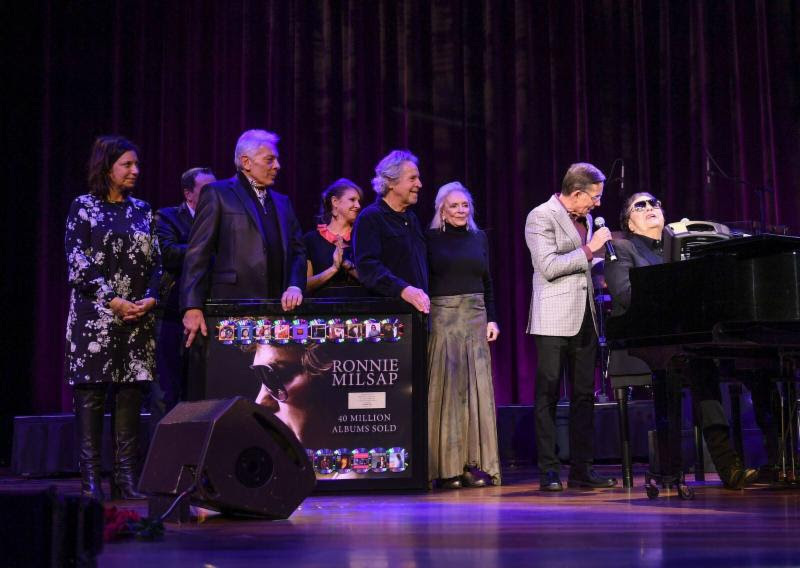 Ronnie Milsap, blind since childhood, has used music to navigate the world. Beyond his Top five R&B hit “Never Had It So Good,” written by Ashford & Simpson and issued on Scepter Records, from 1974 through 1991, Milsap placed 48 consecutive hits on Billboard‘s Country’s Top 10. A six-time Grammy-winner, known for “Please Don’t Tell Me How The Story Ends,” “Smoky Mountain Rain,” “Prisoner of the Highway,” “Lost in the ’50s Tonight,” and “There’s No Getting Over Me,” the CMA Entertainer/Album/Male Vocalist of the Year winner has charted singles in each of the last six decades. (Nashville, TN) Ronnie Milsap loves nothing more than good music. For the man who started his career playing the Apollo and Howard Theaters, auditioned for rock legend JJ Cale’s band at LA’s famed Whiskey A Go Go, played piano on Elvis Presley sessions, where the King commanded, “More thunder on the keys, Milsap” – and finally hit pay dirt in Nashville where he who not only dominated country and adult contemporary in the ’80s, but was country’s first video on MTV, mixing it up comes as natural as breathing. To that end, the man Ray Charles told to forget about that scholarship to Rice University “because the music is inside you” is putting finishing touches on a very special Duets collection, embracing legends, rockers, newcomers, current stars and even Leon Russell’s final recording, Duets samples from all of the genres Milsap loves. “People worry about labels, I worry about music,” says the genial legend. “To me, especially with this project I’ve been quietly working on for a few years, it was about having fun in the studio, collaborating with different folks and finding things that made us smile, or find common ground. Having so much fun, he and longtime producer Rob Gailbraith overcut. Now they are down to final mixes and selections for what is being called Ronnie Milsap Duets. Out of love and friendship, this collection has grown and grown. Now via Riser House Records/The Orchard/Sony, the project is being readied for release. Blind since childhood, Milsap has used music to navigate the world. Beyond his Top 5 R&B hit “Never Had It So Good,” written by Ashford & Simpson and issued on Scepter Records, From 1974 through 1991, Milsap placed 48 consecutive hits on Billboard’s Country’s Top 10. Beyond his Grammy-winning “Please Don’t Tell Me How The Story Ends,” he’s known for “Smoky Mountain Rain,” “Prisoner of the Highway,” “Lost in the ’50s Tonight,” “There’s No Getting Over Me” and so many more. 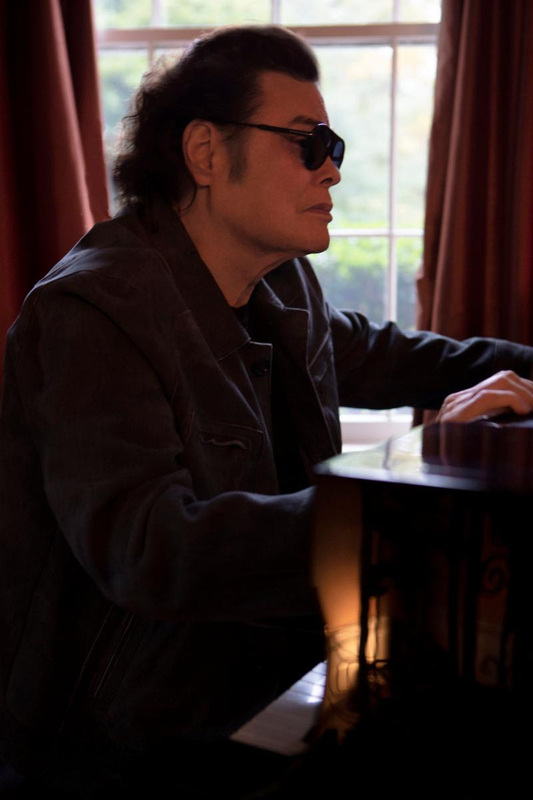 (Nashville, TN) Two years in the works, Ronnie Milsap: The Duets (Riser House/Sony) is done, and slated for release at the top of the new year. The 13-track collection, spanning mainstream country, Christian, Americana, rock & roll and roots music, will be released January 18, 2019. To give longtime fans a taste of what the eclectic project contains, the six-time Grammy winner teamed with People and Relix to debut the first tracks, available at all digital retail outlets now. Recorded at Ronnie’s Place, the studio the former Entertainer of the Year exactingly built at the height of his success, Ronnie Milsap: The Duets marries his much loved hits with a few new gems. “A Woman’s Love,” Milsap’s duet with Willie Nelson, premiered at Relix today. Ironically, Nelson so took to the track, he ended up recording the Mike Reid-penned song on his own God’s Problem Child project. 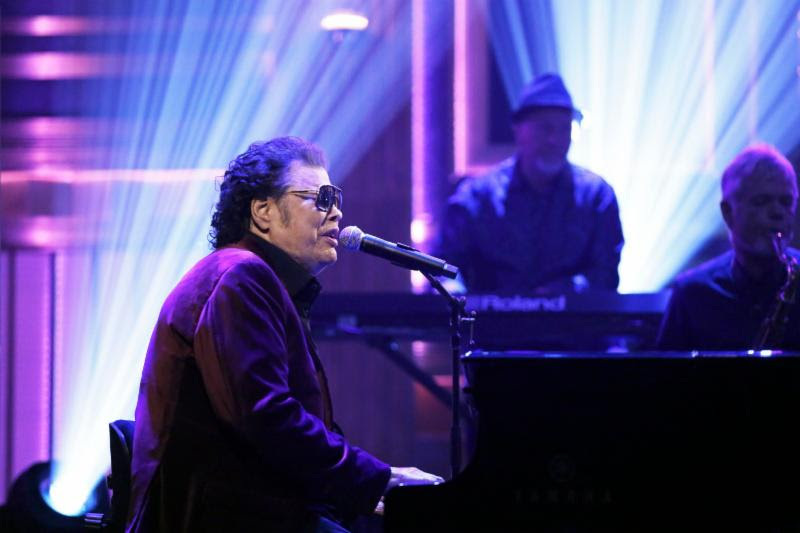 Co-produced with long-term collaborator Rob Galbraith, Ronnie Milsap: The Duets also includes collaborations with fellow Entertainers of the Year Jason Aldean, Luke Bryan, George Strait and Dolly Parton, as well as CMA winners Little Big Town and Montgomery Gentry, on what may be Troy Gentry’sfinal recordings. The album also features collaborations with Rock icon Billy F. Gibbons, Christian music’sSteven Curtis Chapman, newcomers Lucy Angel and Jesse Key, as well as with Leon Russell for what is probably the Songwriters and Rock & Roll Hall of Famer’s last recording. With its roots in the Academy of Country Music 50th Anniversary Duets special, where Milsap sang “Stranger in My House” with Luke Bryan, Ronnie Milsap: The Duets served as a floating jam session. Merging legends, superstars, young artists and myriad generations, the project was met with enthusiastic support from the many collaborators. Nashville, TN: For an artist who started out playing DC’s iconic Howard Theater and Atlanta’s legendary Peacock, as well as getting his big break at Hollywood’s famed Whiskey A Go Go, the only way to kick off one’s 76th trip around the sun is to take it on the road. So Country Music Hall of Famer Ronnie Milsap will do just that. Milsap is certainly owning those words. With the Duets matching the Carolina-born CMA Entertainer of the Year with hipsters Kacey Musgraves and Leon Russell, superstars Jason Aldean, Luke Bryan and Little Big Town, fellow legends Willie Nelson, Dolly Parton and George Strait, as well as rocker Billy Gibbons, Montgomery Gentry on Troy Gentry’s final recorded performance and newcomer Jesse Key, music continues defining the man Ronnie Milsap is. To that end, look for any number of his celebrated Duets partners to turn up at the Ryman for a piece of cake and a song. No details are being given, but everyone knows the Milsaps know how to throw a party! “I promised my friends I was gonna keep it a secret,” says the man no less than Elvis Presley commanded “More thunder on the keys, Milsap!” of his upcoming Ryman show. “And if there’s one thing I do, it’s keep a secret. But I can tell you every single person who came in and sang on these songs tickled me with how much they loved the music. Tickets for the first wave of the 76 for 76 Tour are on sale now. More dates will be announced in the coming weeks, but look for 2019 to be the Year of the Snap. With an album with many of country’s biggest names due at the first of the year, there’s plenty of music to make – and friends to play for. 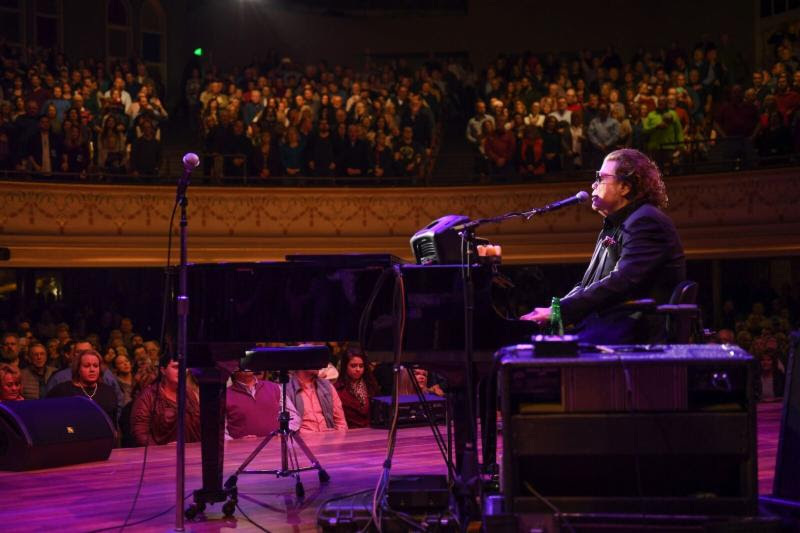 Nashville, TN: Six-time Grammy winner and Country Music Hall of Famer Ronnie Milsap is getting a serious start on his new year. Having just announced the first leg of his 76 for 76 Tour, the Southern soul country legend will play a birthday show at Nashville’s iconic Ryman Auditorium on January 16, where you never know which guests from his forthcoming album, the Duets, will show up. His January 18 release is quite the survey of Milsap’s vast musical reach. For the blind young man who got his start playing the R&B venues of the South, charting “Never So Had It Good” and getting career advice from Ray Charles who recorded the Top 5’s B-Side “Let’s Go Get Stoned,” reaching across generations and genres comes naturally. A longer look at the project will be online at EW.com. In addition, the Duets will be featured in Relix, PEOPLE, American Songwriter, Billboard, Garden & Gun online, Rolling Stone Country, Goldmine, No Depression, Pollstar, The Nashville Scene and The Tennessean, as well as various country blogs, country preps and local outlets. So, people get ready! January 16 at the Ryman, Milsap will do a very special birthday show to kick off a major tour – and tease his new record. Then on January 18, the Duets arrives so people can hear what Milsap’s so excited about. 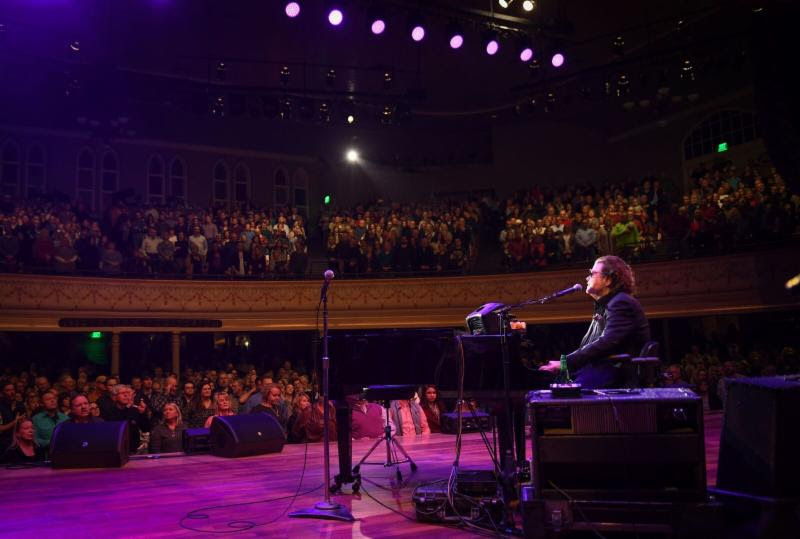 When the curtain rose at the historic Ryman to the surging “Prisoner of the Highway,” Ronnie Milsapreturned to the Ryman Auditorium with a full command of his 40 #1s. Dressed all in black, the Country Music Hall of Famer celebrated his birthday and a catalogue of country hits and crossover hits that reaches back five decades. Like every good birthday, there was a present. Former RCA/BMLG/Sony Chief Joe Galante, who’d presided over the label during Milsap’s unprecedented run, was joined by Cumulus Radio’s Mike McVey to present the 4-time Country Music Association Album of the Year winner with a plaque commemorating 40 Million albums sold over the length of his storied career. And like every good birthday party, there was cake. In this case a blue and white cake delivered by Little Big Town, who not only helped lead the audience through “Happy Birthday,” but also offered a magical reprise of “Lost in the 50s,” their track from the Duets being released tomorrow. Receiving multiple standing ovations throughout the night, the six-time Grammy winner gave a master class in the convergence of hard country, doowop, rock and roll and old school soul. With American Songwriterciting Milsap’s “gift for interpretation,” Entertainment Weekly hailing, “the staying power of his hits.” and The Nashville Scene raving,”The Duets Reveal the Soul of a Country-Pop Master,” Milsap’s latest album – featuring George Strait, Kacey Musgraves, Luke Bryan, Dolly Parton, Jason Aldean, Lucy Angel, Billy Gibbons, Montgomery Gentry, Jessie Key, Little Big Town, Leon Russell and Willie Nelson – arrives after two years in the making. Just as importantly, the man who lives to play is doing just that as he heads into his 77th trip around the sun: taking it the music to the people. When “Lost in the ’50s Tonight” appeared, it merged Carolina beach music, a deep dive into vintage soul and the yearning for that one innocent first love. The multiple week Country #1 and Top 10 AC hit that folded the Five Satins’ “In The Still of the Night” into the song that went on to win Milsap his fourth Country Male Vocal Performance Grammy and led the album of the same name to his fourth Country Music Association Album of the Year Award melted eras and place literally and musically. Now the time-stopping “Lost in the ’50s Tonight” breaks even more ground. 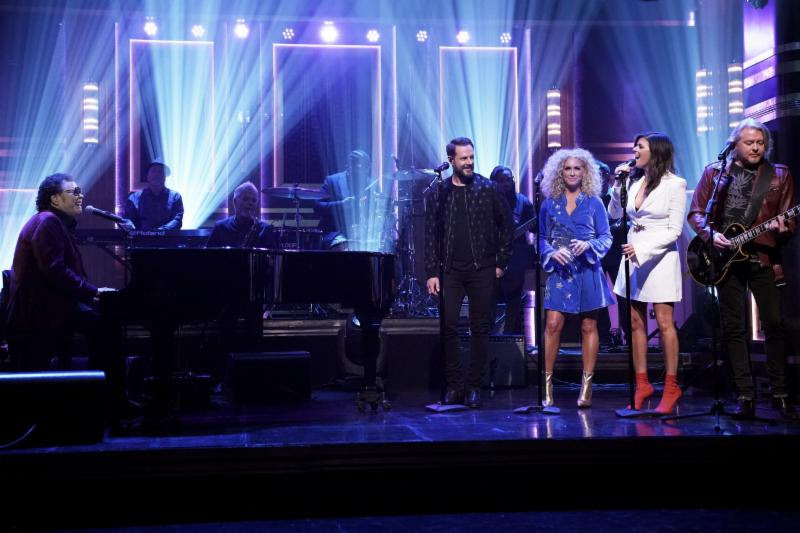 The Country Music Hall of Famer reprises the magic of his Duets recording with triple Grammy winners Little Big Town on The Tonight Show with Jimmy Fallon. They will be backed by the Roots as they blur genres in the name of good music February 6 on NBC. “Kimberly, Jimi, Phillip and Karen can do anything,” marvels Milsap, “and they do it so well. Being in the studio with them was incredible, because all four members of Little Big Town are incredibly musical! They’re lovely people, and we had such a good time, I wanted to just keep going. After coming to my birthday party at the Ryman, which was wonderful, they’re going to help me do a very special version of this song on The Tonight Show. Even better, we’re going to be playing with the Roots, who are all very cool cats! Written by Mike Reid (“I Can’t Make You Love Me”) and Troy Seals (“Seven Spanish Angels”), “Lost In the ’50s” was an anomaly in the glossy pop and traditional country driving ’80s country radio. With its subdued rhythm, yearning emotion, the insertion of vintage rhythm & blues and lush vocals, it stood out pouring out of a car radio. In addition, the Duets is in Relix, PEOPLE, American Songwriter, Billboard, Garden & Gun.com, Rolling Stone Country, Goldmine, No Depression, Pollstar, and various country blogs, country preps and local outlets. Now this Wednesday, February 6, on NBC’s The Tonight Show with Jimmy Fallon, Milsap will bring one of his most iconic hits into people’s homes with the help of some very special guests. 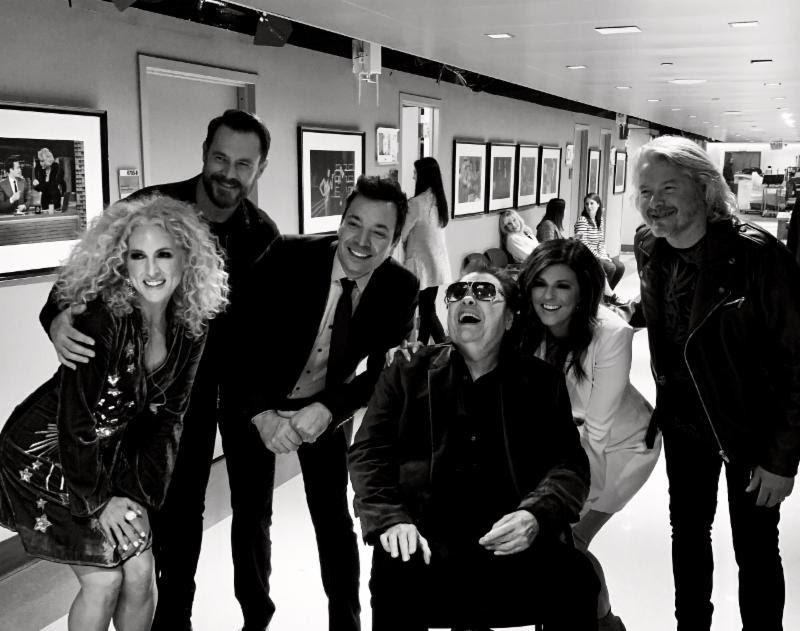 Ronnie Milsap performed “Lost in the Fifties” last night on The Tonight Show Starring Jimmy Fallon with Little Big Town, The Roots rhythm section, and a surprise cameo by Fallon himself on vocals. “Lost in the Fifties” featuring Little Big Town, appears on Milsap’s new record The Duets. Whether it’s a frisky “No Gettin’ Over Me” with progressive genre-smearing songwriter Kacey Musgraves, an aching “Houston Solution” with hard country king George Strait, the lush reworking of “Lost in the Fifties Tonight” featuring Little Big Town or rocking “Southern Boys and Detroit Wheels” with ZZ Top’s Billy Gibbons,The Duets sees Milsap is in his element.